We all know that content is an incredibly important strategy when it comes to digital marketing and getting our message out there. But how do you keep coming up with new ideas? Hi there, folks. 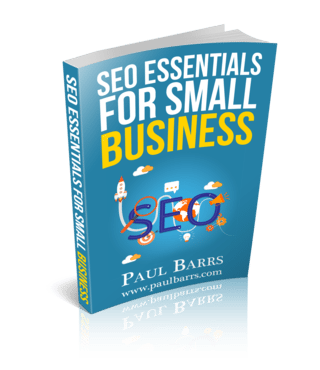 My name is Paul Barrs, from PaulBarrs.com, and in today’s training we’re going to look at a whole bunch of different ideas. Not really a whole bunch. 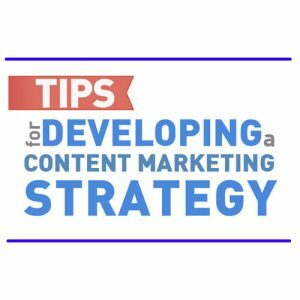 Just four simple ideas that will help you put together your content marketing strategy for your blog and a whole bunch of other things. So grab your pen and paper. Let’s get straight into it. First things first. When it comes to planning your blog schedule, I’d like to suggest that you actually do plan your blog schedule and not just look at it for the next day or two or three or four. I’m talking about planning ahead a month, three months. 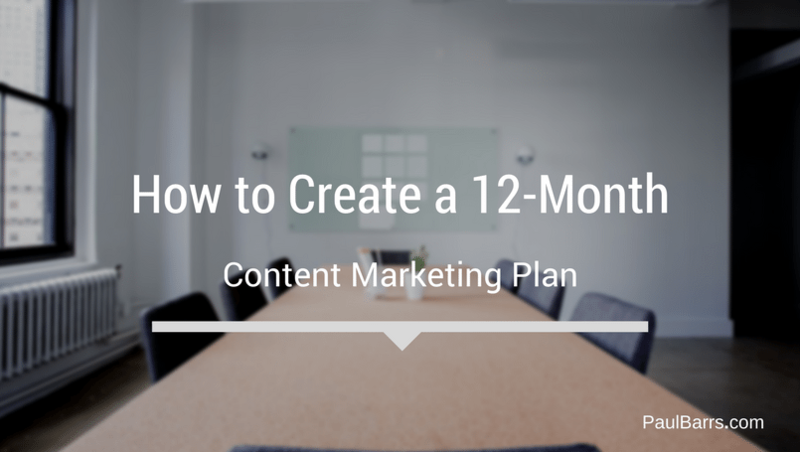 Maybe even a content marketing strategy that stretches out for a year. Yes, imagine that. Imagine being able to have enough content ready to go and get everything happening for you. First things first. You’ve got to put your ideas together. If you’re working with others, it’s vitally important that you work with them, and maybe you can set up a central place, like with Drive or with Dropbox or with something similar, and start taking notes when you get ideas and putting them down and putting them into some kind of calendar so that you can space them out. I know this can sound like a lot of work, but really when you get down to it, there’s only going to be probably 30 to 45 minutes, and you could have a whole strategy ahead of you for the year, which can put you in command central and get you ready to make things happen. However, here’s the crutch of it. When do we come up with these ideas? Where do we get the ideas from so we don’t just look at that blank piece of white paper and go, “I don’t know what to do”? Here’s my top four answers to this. So, like I said, grab your pen and paper. Let’s put them down. But don’t just say, “Well, there’s only 12 questions, therefore that’s only 12 ideas.” One question could have an offshoot here and an offshoot there and have a whole bunch of different ideas come from it. Look, here is the key to successful blogging if you’re planning out a strategy – go detailed. Don’t just look at one topic and then cover an area on that topic. Look at one topic and look at inside that topic, and then break it down into the detail. That’s what people are looking for. And it’s a great way to come up with new ideas, looking at the frequently asked questions of your who? Customers. Another great idea, social media. Get online. Get into Facebook, get into Twitter, get into LinkedIn or wherever it is that your customers and your people are. What are they talking about related to your industry? What are they interested in related to your industry? You can spend some time there. You could spend 20 to 30 minutes, and just go, “Wow, look at all of these things,” and get heaps and heaps and heaps of ideas. So get in there and follow the topics that people are looking at. Consider using some kind of alert like Google Alerts or something with some other app through social media that will let you know when people are talking about a particular topic. Get involved with the groups. Set up certain hashtags through Twitter, and now with Facebook, and others, and look at what people are talking about. Look at the questions they’re asking. Look at what they’re interested in. Look, just on this quickly before we move on to the next one, maybe in your period of time of setting out your, you know 12-month blogging strategy, maybe you don’t come up with a topic for every single thing, but you can plan when you are going to do some of these things, to dig deeper, to find more topics along the way. Going out into the social media is like going out into a strawberry farm looking for strawberries. They’re there. You’ve just got to bend over and pick them up. Number three. Look at magazines. Look at publications. Look at industry materials for your sector that have been published and grab them. Now, even though we use the Internet a lot these days, there are still dozens, dozens, and dozens of magazines out there that talk about your industry sector. Look at what other bloggers are doing. Look at these publications and go, “That’s a great idea. That’s another great idea. There’s some more ideas.” You can come up with twenty, thirty ideas straight away, just by grabbing one magazine. Hey, if they know that it’s worthwhile putting into print and spending the money on it, you can damn well bet that they know that their customers are interested in reading it. And another one, of course, great idea is keyword research and search trends. Now, this is my personal favourite. If I’ve got a topic that I want to be talking about, if I’ve got a topic I want to be writing about, I’m going to go straightaway and have a look at the keyword research and go, “Well, what’s related? I’m going to look at the ad groups in Google’s AdWords. I’m going to look at the trends. I’m going to look at the Google insights and see the upward trends and see how these things are coming together. I’m going to do these, and I’m going to look at my competition and look and see what they’re doing. And maybe month by month follow a theme, follow a trend, follow a topic. And in doing this, remember always to put in your analytics, to test, to track, to measure. Look at the way you are delivering your content. Do some in video. Do some with blogging. Do some with audio. Do some getting in up on to SlideShare. Do all of these things and link everything back to your blog and have it on there as well.